Ruminations, rumblings, calls to arms and unholy beatitudes from the mind of artist and activist Brad Lacke. Come for the art, stay for the unmitigated pleasure of watching an adulthood-bound dreamer aspire, perspire, and wriggle through by other subtle maneuvers. I wouldn't share your email if I knew how. Thanks for joining the Secret Fan Club! I'll keep you updated monthly with interesting content, and you can opt out at any time. The Dodus is on Patreon! Stevepavlina.com - A fantastic, comprehensive resource for personal growth and living life consciously. Ctrl+Paint - Matt Kohr's exhaustive art tutorial hub. Start with circles, end with space marines. Nicklacke.com - genius design guru, righteous beard owner and my brother from the same mother. Yay!LA - Daniel Antonio Barron and friends revitalize the arts and culture mag. GettingThingsDone.com - David Allen's ninja-like workflow/productivity overhaul. WaterfallMedia, Inc - interactive marketing wizards. Deathpony.us - From the odd mind of Mikey Paulino, a series of hand drawn designs intended for use on the upper body. Happy 2015 everyone! I'm back in the game. I know everyone is relieved. Other dinosaurs have been discovered in the recent Dinosaur Renaissance 2: Hyperbole with a Vengeance that predated Coelophysis by several tens of millions of years, but for all intents and purposes, Coelophysis is the most famous and first dinosaur. It's kind of cool to trace the evolution of dinosaurs from this basic shape - the basal theropods like Coelophysis were at the evolutionary root of every dinosaur to come - from T-Rex to the sauropods to Triceratops. 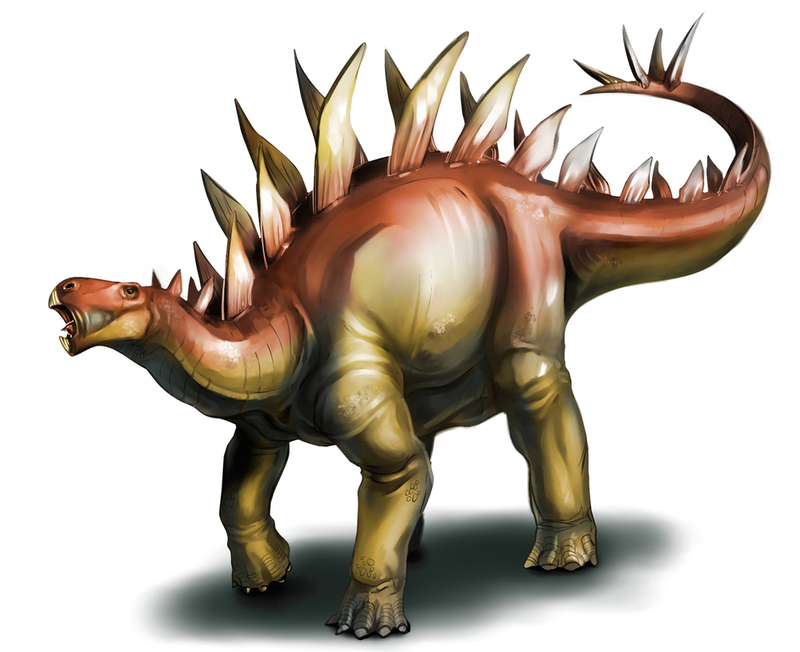 It also managed to beat out several other mammals, archosaurs, and weird mammal-reptile hybrids that didn't go anywhere in a very contentious time period in the early Mesozoic era, so it must have been doing something right. Anyway, I'd write reams more but I'll save it for another time. Just wanted everyone to know I was alive. There’s definitely something missing from this drawing. Besides composition. And a background. Alright I’m going to prematurely end this guessing game because it’s starting to hurt my feelings. This is the first illustration I’ve ever been able to fully render out, get rid of the lines, and still have it look good/make sense. OK I maybe left in a couple but those don’t really count. Hear that illustration headhunters? I’m ready to be hired now! Remember those? They were those characters that ultimately represented the closest thing to an actual human being that existed in a work of fiction. They were the ones that the writer poured themselves into, giving them all of their flaws, all of their aspirations, their dreams, their failures, their insecurities, their mistakes...and their positive attributes as well. They were the ones that sometimes, a lot of times, made the wrong call, sometimes did something questionable. But at the end of the day prevailed, in spite of all of their shortcomings. They were the ones we were supposed to identify with, see ourselves in, and root for. Because they were us. Their failures were our failures, and their triumphs were our triumphs as well. They served as a reminder that even though none of us are perfect, we can still do great things. "A dirt texture overlay layer? You shouldn't have!" In my previous post, I spoke at length about what badass detectives of prehistory paleontologists are, given the relative scarcity of dinosaur fossils. I pointed out that we don’t actually have complete skeletons of the majority of dinosaurs, and that what you see when you go to the museum actually just represents the best efforts of 100+ years of intelligent, hard-working scientists. Why did I do that? Out of some cruel impulse? Because I wanted to destroy your childhood? No, we’ve had Michael Bay on that for quite some time now and he’s more than up to the task. When you go from being a little boy with a completely age-appropriate obsession with prehistoric animals to an adult male with a somewhat inappropriate vestigial obsession with dinosaurs, an entire new panoply of earthly delights (literally) unfolds before you. All of those mental gymnastics you were forced into in school, from learning trigonometry to trying to decipher what the hell was going on in ancient Hellenistic texts (raise your hand if you needed your professor to help you locate the stanza where Achilles dies) were just a warm-up, a training ground. Resistance training for your neurons all for the sole purpose of getting you to this point: the point where you can now go back and check dinosaurs out with an adult brain. Well, that’s what helps me sleep at night anyway. Revisiting your old childhood fascinations is a rewarding, yet bittersweet experience, the amounts of each depending mostly on how much you’ve matured in the interim, not unlike going to your 10-year high school anniversary. I will just point out that if you’ve developed a drinking problem, dinosaurs won’t judge you. For all we know they could have been raging alcoholics themselves. Now there’s an extinction theory I think merits some inspection. Did anyone see that dinosaur special narrated by Werner Herzog where a dinosaur eats mushrooms and starts tripping? I totally didn’t…either. I'm just warning everyone now: I have every intention of not only drawing the dinosaurs from this children's dinosaur drawing book, but publicly nerding out about dinosaurs. I apologize in advance and will not hold it against you if you contribute to raising my bounce rate. On the other hand, you might just learn something about extinct animals that have little to no chance of impacting your life in any way, and learning is fun. 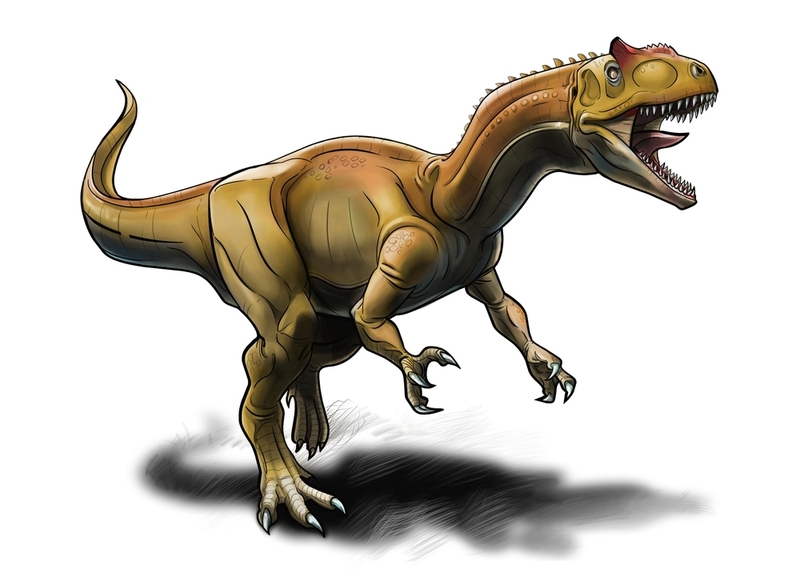 In one of the dead languages scientists like to use Allosaurus means "other lizard", which displays an incredible amount of prescience on the part of its discoverers, as its legacy basically later became, “not Tyrannosaurus, the other one.” This is one of the great tragedies of prehistory, because look at this guy. He's about to go seriously mess somebody up. And he's not taking his time either. Somebody offscreen to the right is about to have a real bad time. People are sometimes compelled to make unfortunate statements regarding dinosaurs and chicken ancestry, because they’re miserable people who want to wring every drop of joy out of life for everyone else. And let’s be honest—T. rex kind of invites the comparison, the way he stands around with those tiny arms, derpy-mugged, pot-bellied and just a little too big. Not Allosaurus. Frantic scribblings were not included with the book. Any time I find myself in a library, the first thing I do is reflexively walk over to Dewey section 567.91 to see if there's any fresh content available for updating my personal brand. This is almost invariably a Quixotic adventure; 90% of the time the shelf contains the same books that I read 500 times when I was a kid; the other ten percent I'm presented with a collection of new but awful, brightly-colored, lowest common denominator dinosaur book-mill garbage publications, completely devoid of facts and with illustrations literally traced, poorly, from previous publications and then run through a couple photoshop filters and exclamation points everywhere, because apparently kids these days will bail out of any sentence if they sense that they're not going to be rewarded with the sweet payload of an exclamation point, justifying their efforts. So in summary the dinosaur book equivalent of today's cartoons. This is an entirely different but equally sad crisis.